Deep Sea Fishing Charters: Same as with Destin, the guys (and girls!) can try their hand at catching dinner. 30A Beach Bonfire: what a way to relax in the evening on the beach. Ft. Walton Beach Weddings in the early evening, followed by a bonfire and s’mores for a dessert reception! Ft. Walton beach has a rich history. Even though the city is called Ft. Walton there was never actually a fort in the city. This area has a rich history with the Native Americans going back over 14, 000 years. With its small town feel, Ft. Walton Beach Weddings can make your destination wedding experience. 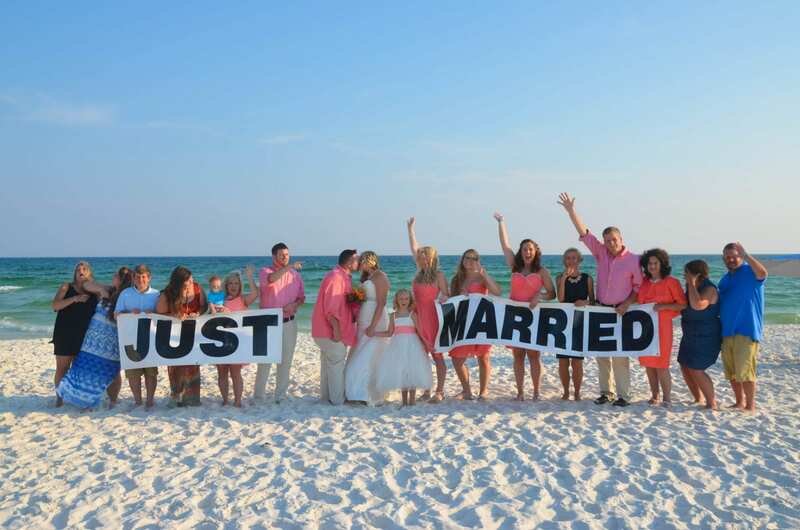 How can You make Ft. Walton Beach Weddings your Florida destination wedding location? Receive your confirmation packet, and User ID and Password for the selections pages. This is where you will choose all of your ceremony decor, ceremony choice, music selections for your beach wedding ceremony. A general timeline will be included in your confirmation packet (let’s you know important dates and times of your ceremony details). And, on the day of your ceremony, we will see you on the beach for your wedding ceremony! 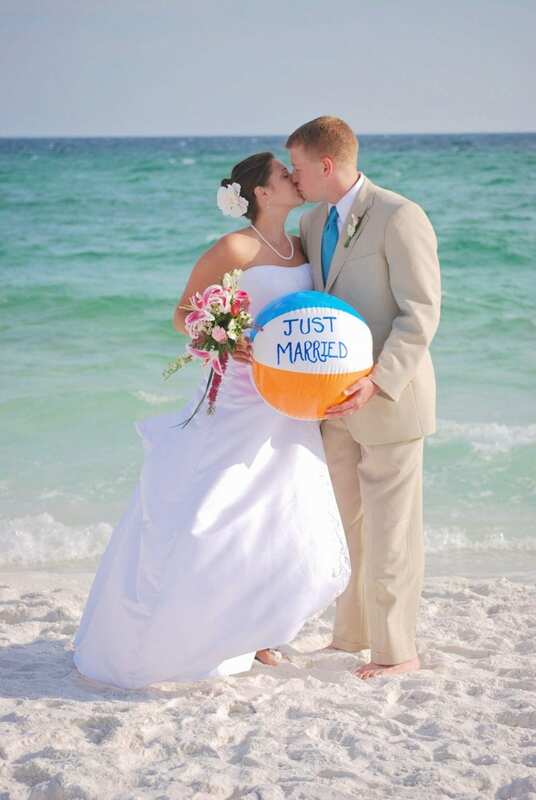 Ft. Walton Beach Weddings, another great choice for your Florida destination wedding. Contact us today, so we can start the planning!